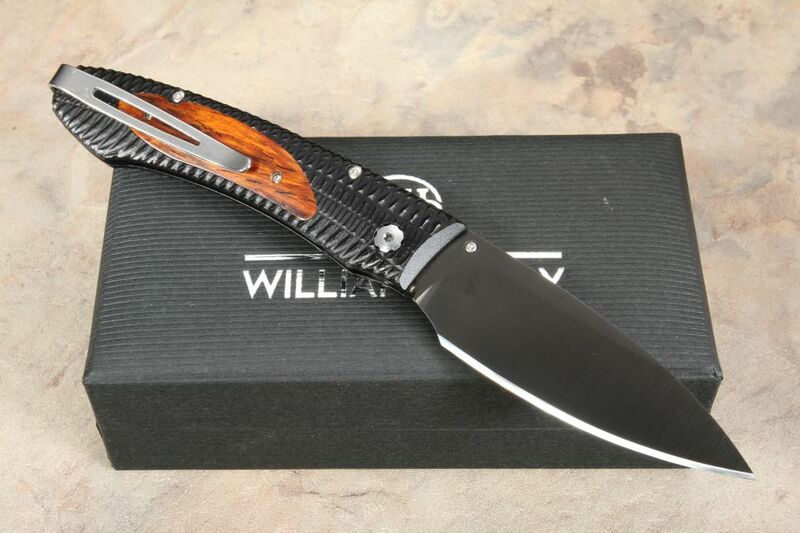 The William Henry E6-1 is another everyday carry knife in the E6 family, which leans more towards the tactical or subdued aesthetic of the EDC culture than what you typically find in the William Henry collection. E6-1 is great for daily carry with smooth one-hand opening and closing. 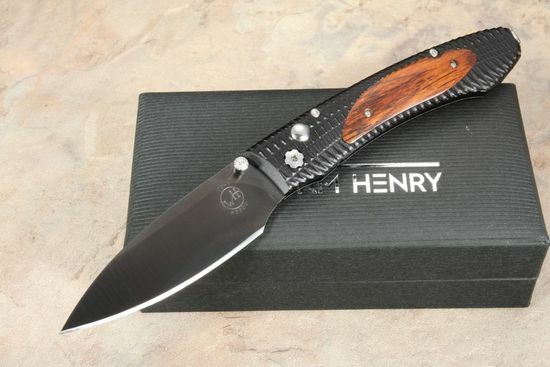 The cocobolo wood inlay still hints at its pedigree, however, allowing for the marriage of elegance and function you have come to expect from William Henry. It is fitted with 3d machined aircraft aluminum handle measuring 3.5", which gives you a low-profile footprint for everyday carry purposes. The handle has a hard anodized treatment for incredible strength in a lightweight package. With single-hand deployment using the stainless steel thumbstud on the blade brings the knife to a comfortable 6.13" overall length which fits nicely in the hand, but doesn't feel like a tiny EDC blade, in spite of its light weight. The knife locks open confidently thanks to the button lock mechanism. The M390 stainless steel drop point blade allows for strong cuts as well as a fine point for delicate work when attention to detail counts. The M-390 steel used in this knife has long been known in the custom knife community as an excellent steel for edge retention and durability. After a hand satin finish, the stainless M-390 blade is coated with a DLC tungsten carbide coating for rust/stain prevention. 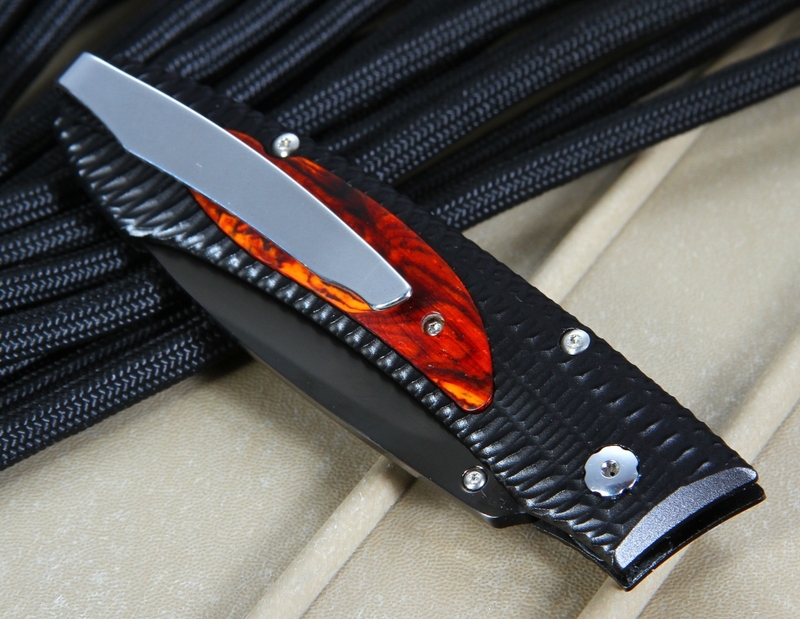 The drop point blade comes in at 2.75" - a great size for carry and daily tasks. 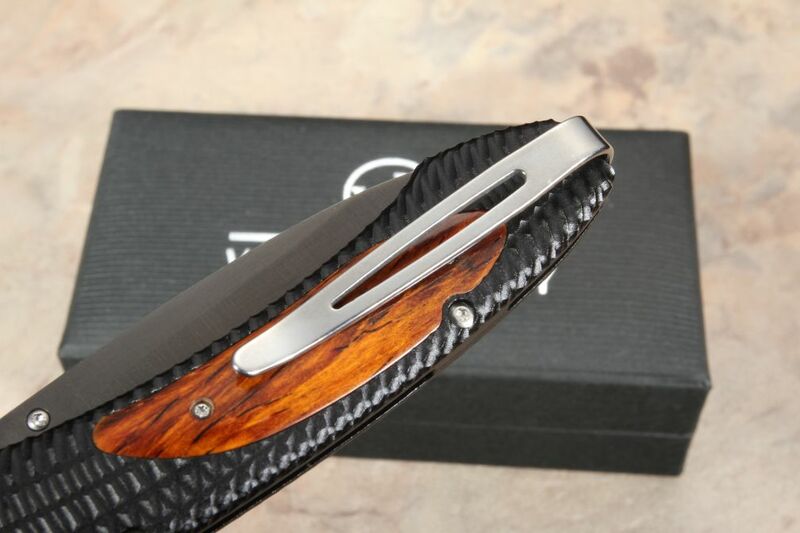 The E6-1 is a basic knife that sacrifices nothing in the realm of style and aesthetics when it comes to function, the cocobolo wood is a rich dark color, giving it the flair and elegance that is easily recognizable as a William Henry blade. 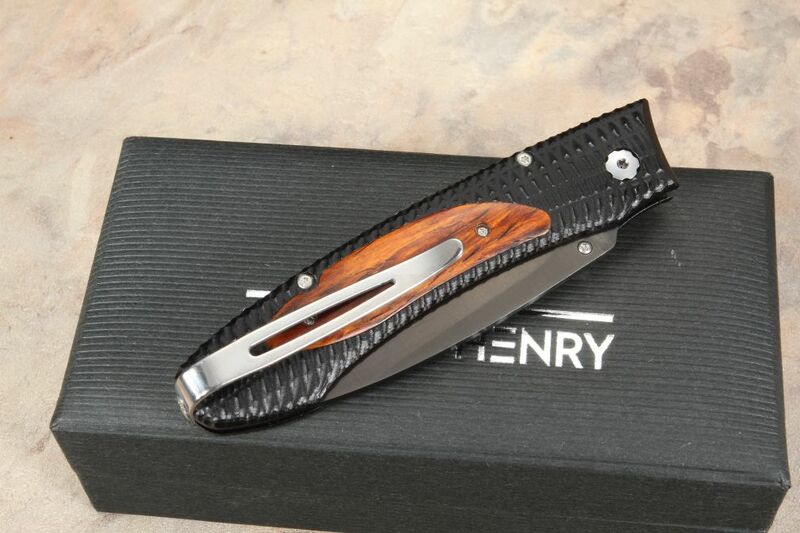 This individually numbered knife comes with a certificate of authenticity and William Henry presentation box. 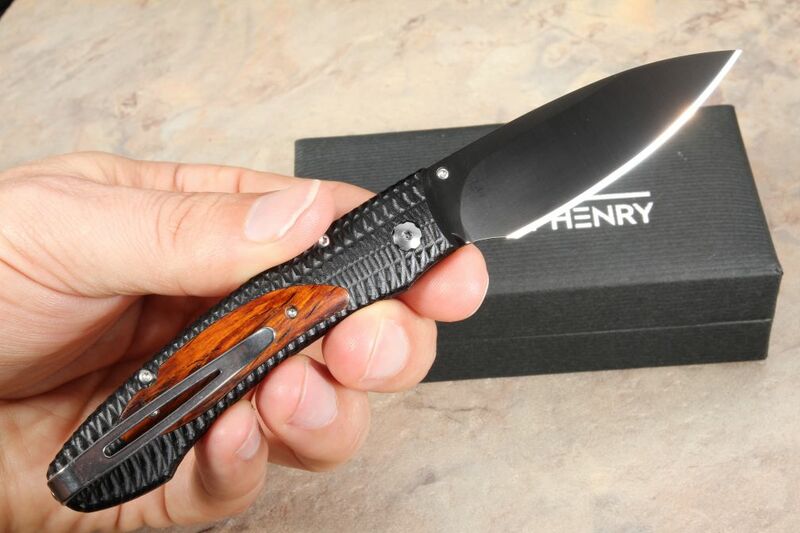 William Henry stands behind their product and is so confident you are going to be satisfied with your blade that as an authorized dealer, KnifeArt.com doesn't charge restocking fees, offers professionally curated merchandise, and fast free shipping on US orders over $150. Love it, My 2nd knife, I'm starting to figure out my preferences, overall size of knife; blade, finish, color, etc... this is a tad smaller than I'd prefer for EDC, but it's a beautiful knife that I wear with my business attire. I received this knife 2 days after I ordered it! I did not pay extra for that. The knife is beautiful and as sharp as anything could be. The fit and finish is amazing. 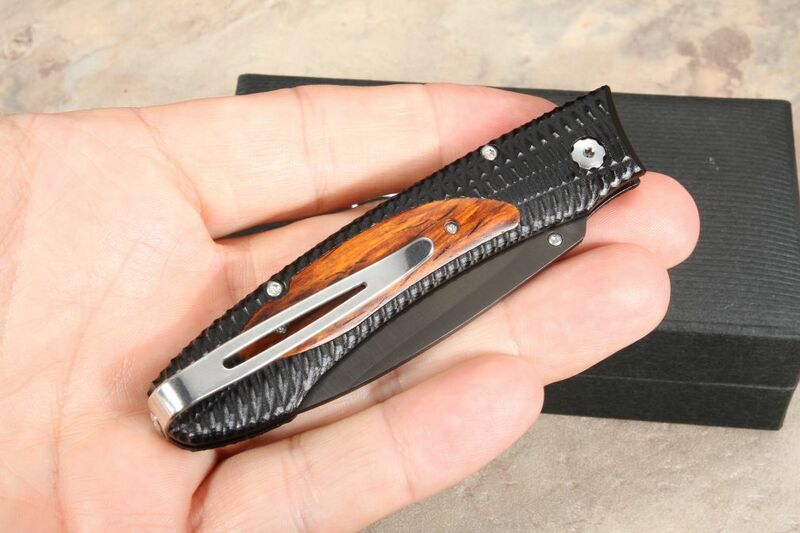 I will be purchasing another WH in the future, and I will purchase from from KNIFE ART. What a great company to do business with.Thanks Knifeart! 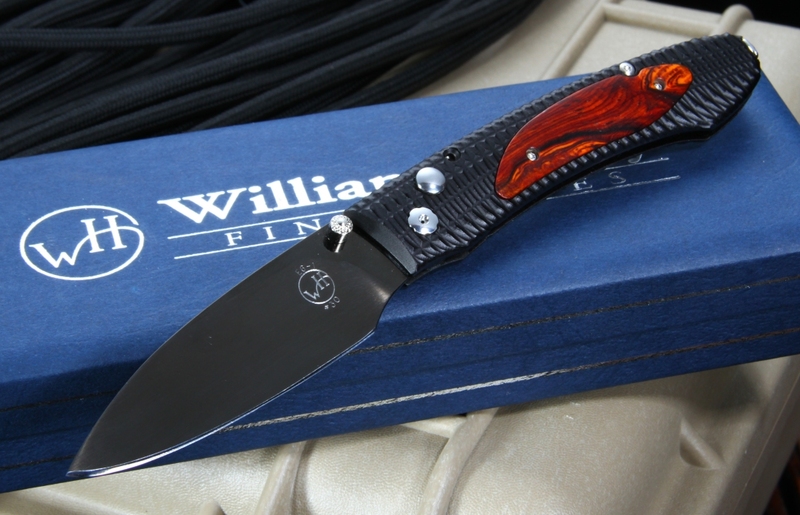 I have a few William Henry knives and most are higher end but I really like this one. 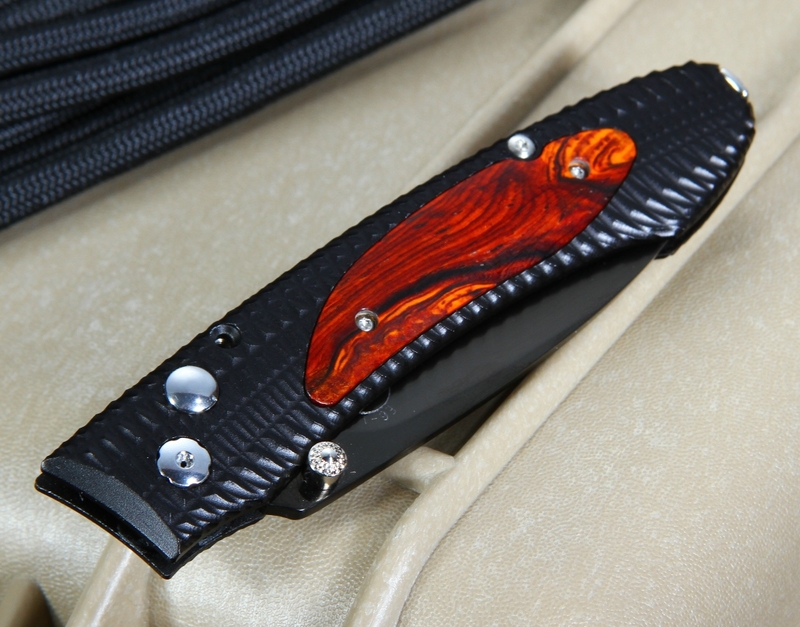 It has beautiful cocobolo scales, nice design, great function, no issues at all. Shipping was fast as usual. I\'ve always had great experiences with Knife Art too! Beautifully crafted knife with the sharpest blade I've ever seen. My only regret is that I didn't get the larger version, as this is a tad small for my large hands. Received it fast and the shipping was free!